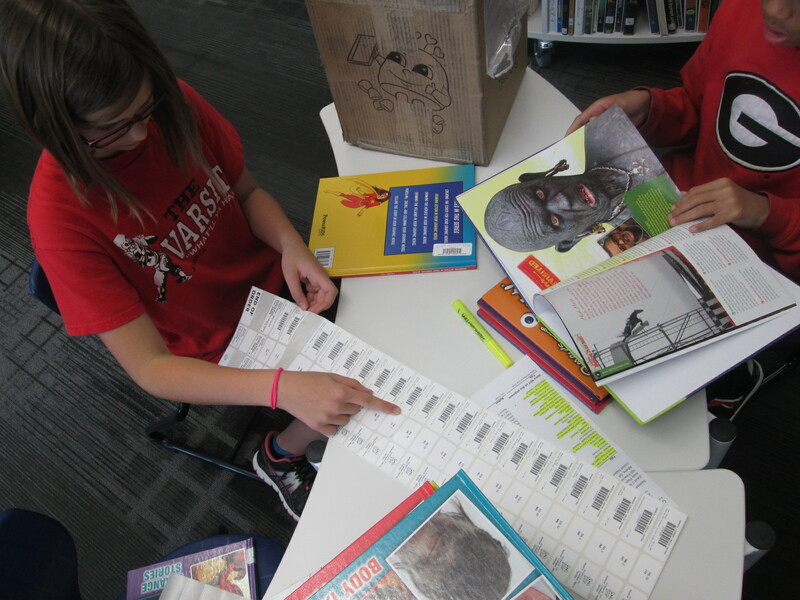 Today, the student book budget group came to the library to unpack our first order. Most of our books that we ordered will come from Capstone, but there were a few books that they found from Gumdrop. Gret Hechenbleikner is our Gumdrop rep who brought in several book samples for students to look at. One of our goals for purchasing books was World Records. 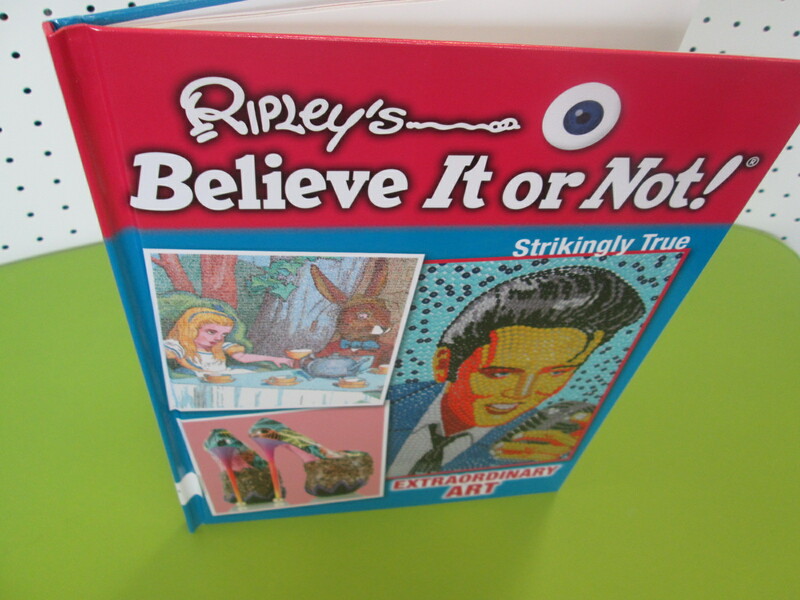 We have several Guinness World Record books, but Gumdrop had some Ripley’s books that were much smaller in size that the students loved. They also found some haunted history books that I’m sure will be extremely popular. 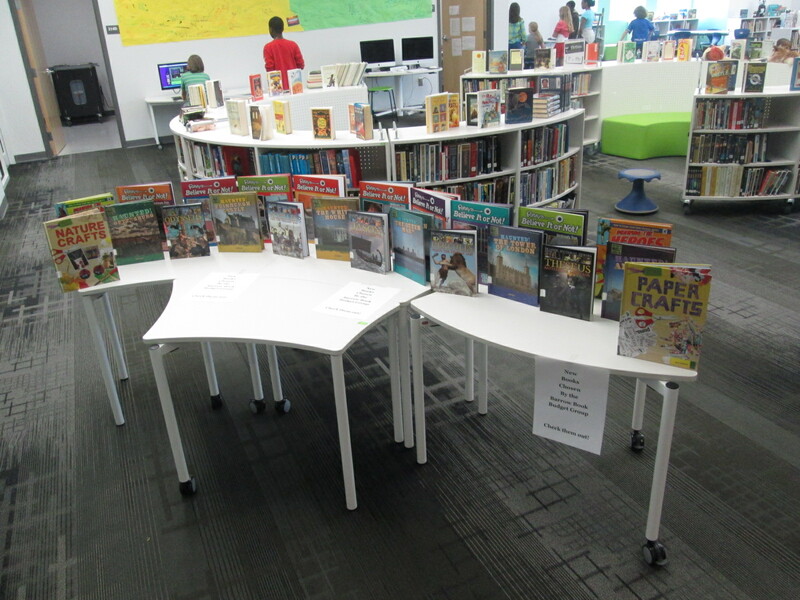 We are trying to increase the number of books we have about making things, so they found a series of books about making graphic novels as well as making crafts out of various materials. To save a bit of money, we did not purchase shelf ready books. We did order the barcodes and protectors, though. Students came in during their recess and worked through several steps. Step 1 was to unpack the box, check off the packing slip, and check the books for damage. 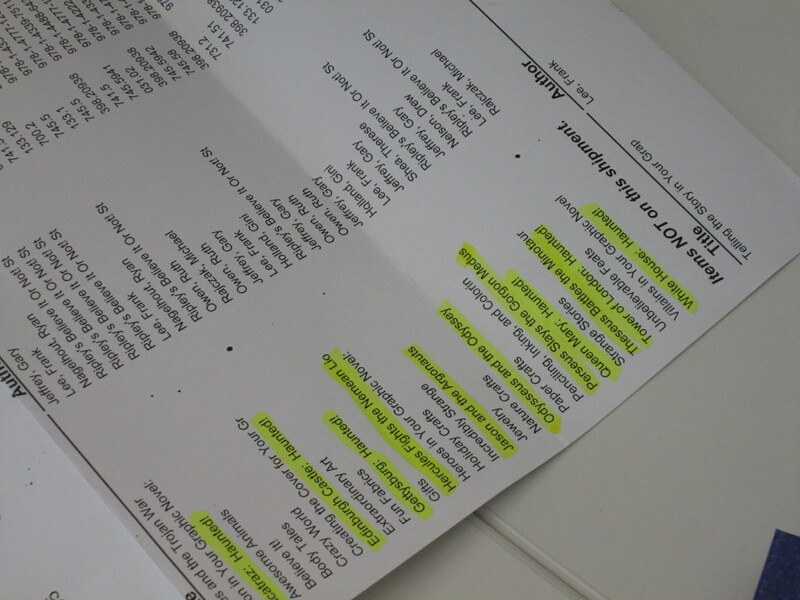 Step 2 was to put the labels and label protectors on each book. 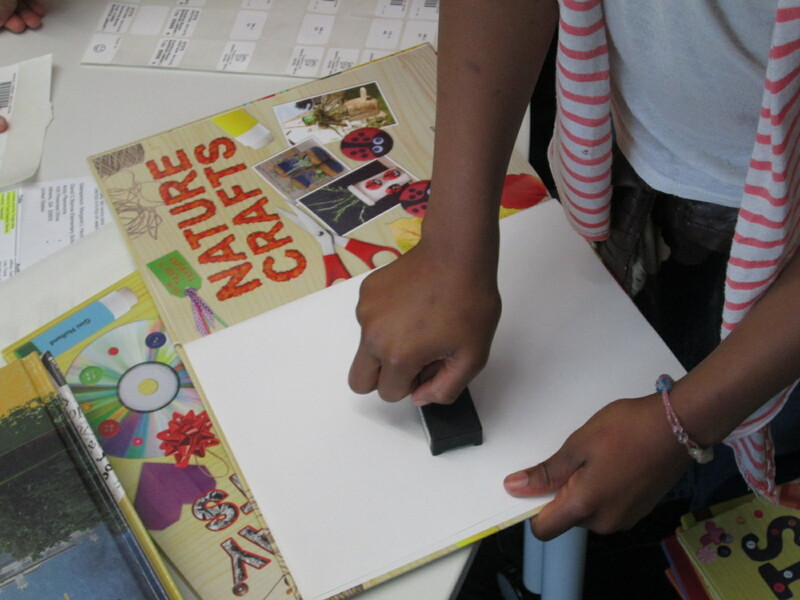 Step 3 was stamping each book with our library stamp. Step 4 was to download the MARC records into Destiny. Step 5 was to think of how to advertise the books to the school. Students decided on 2 things. They wanted an Animoto of all of the books and the unpacking process on our morning news show for Monday. 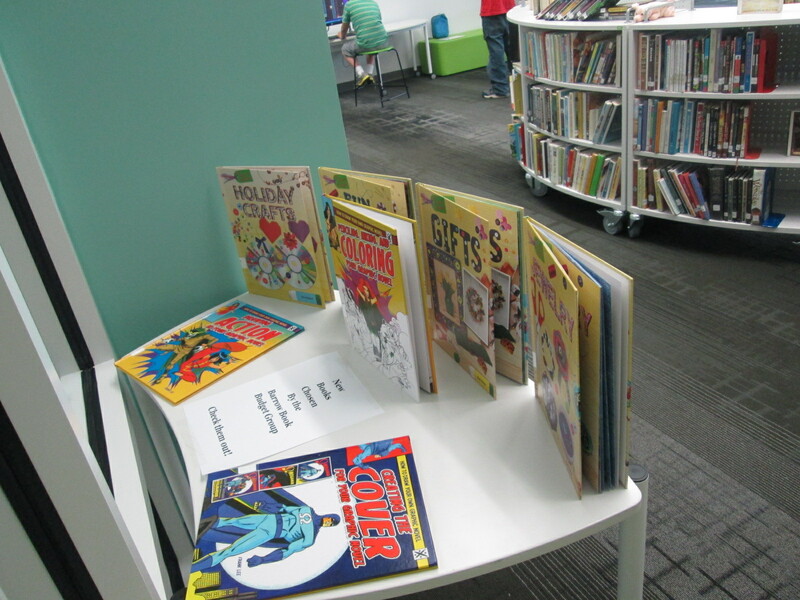 They also wanted to create a display at the front of the library. One group of students worked on taking pictures. 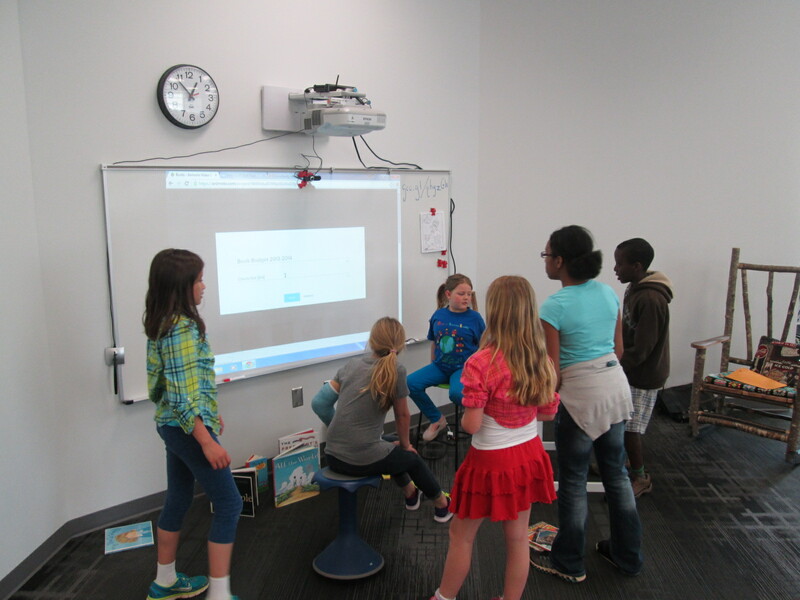 Another group worked on making the Animoto. A final group worked on creating the display. It was fun to watch them celebrate when their Animoto was made. The books haven’t even been officially advertised to the school yet, and already several of the books have been checked out. I won’t be surprised on Monday when there is a stampede to the library to check out what is left. These students will meet again next Friday, when they will unpack a large order from Capstone and repeat the same process. 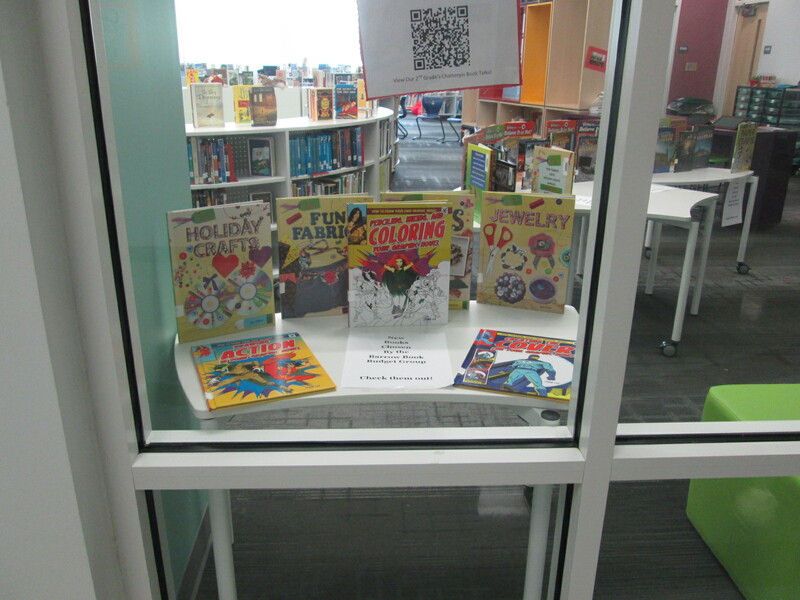 This entry was posted in Book News, Participatory Culture, student participation, student project and tagged book processing, gumdrop books, participatory culture, reading promotion, student book budgets, student voice. This is such a cool project! 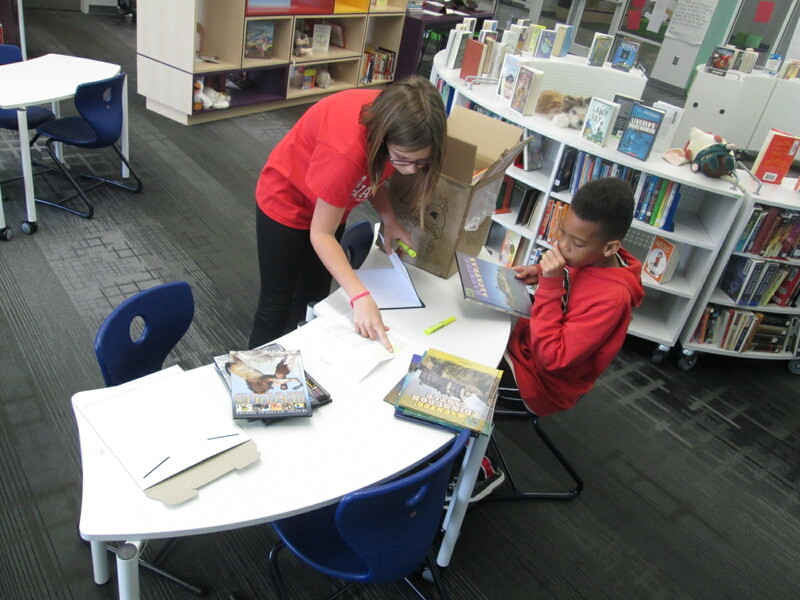 I love how the students have been involved in every step of the process – even checking off the packing slip and putting barcodes on the books. I’m going to try something like this with my student leadership group next year. It is such a fun project. I love this way of honoring student voices. This all started with grant money, but I have come to believe in the process so much that I dedicate a part of our book fair profits specifically for this project.